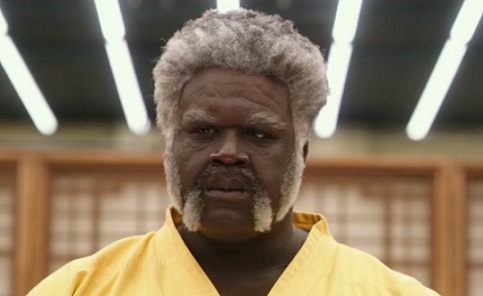 The trailer for the upcoming film Uncle Drew, written by Jay Longino and directed by Charles Stone III, has been released. Inspired by a fan-favorite digital episodic series, originally created by Pepsi, the film follows Uncle Drew as he embarks on a road trip to reunite with his former basketball squad and return to the court once again to prove that age is just a number, after a young man called Dax asks him for help to win the Rucker Classic street ball tournament in Harlem. The cast also includes Shaquille O’Neal, Chris Webber, Reggie Miller, Nate Robinson and Lisa Leslie as Uncle Drew’s former squad, Lil Rel Howery, Erica Ash, Tiffany Haddish and Nick Krol. “I wouldn’t be surprised that he’s as good today as he was back then.”, someone says at the beginning of the trailer, which features some of Dax and Uncle Drew’s adventures throughout their journey together. “You don’t stop playing because you’re getting old. You’re old because you stop playing.”, Uncle Drew tells Dax in one of the scenes, as his team is determined to win the tournament. The songs used in the trailer are “Cocky”, the new single by A$AP Rocky of ASAP Mob, who collaborated with Gucci Mane and 21 Savage of Slaughter Gang, from the Uncle Drew Motion Picture Soundtrack, which has production from super producer London On Da Track, and “We Run This” by Missy Elliott, from her fifth studio album, “The Cookbook”, released in 2005.